In Cocoon, you can add, change and delete users. You determine the permissions to upload, edit and download media files and you therefore keep control over your media files in the cloud. 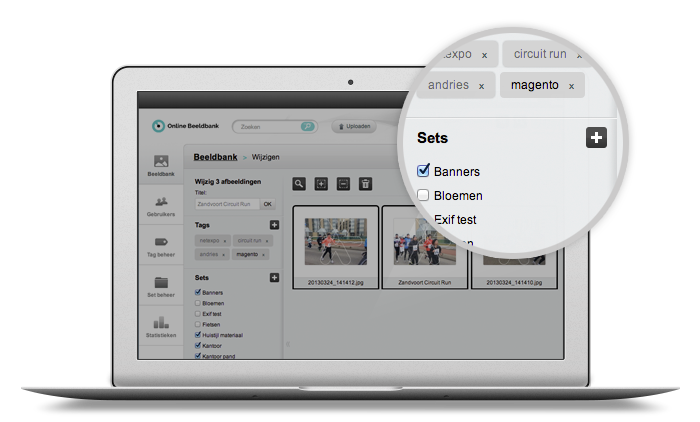 Cocoon allows you to create, edit and delete users. You set the permissions per user. So you can decide, for example, to which Set(s) the user has access and for what specific time period. Or you can give a user only download rights to download files from the cloud. From the statistics, you can exactly see which users are active and which files are frequently shared within your cloud environment. A Cocoon license includes 1 Administrator, 5 Managers and an unlimited number of Users with viewing and download rights.